Affiliate links are included in this post. Items marked with (*) were gifted. I know I've been going on about how autumn outfits are the best, but it's true! And to prove it, today I have a post dedicated to autumn style inspiration (or fall, if you're from the USA). 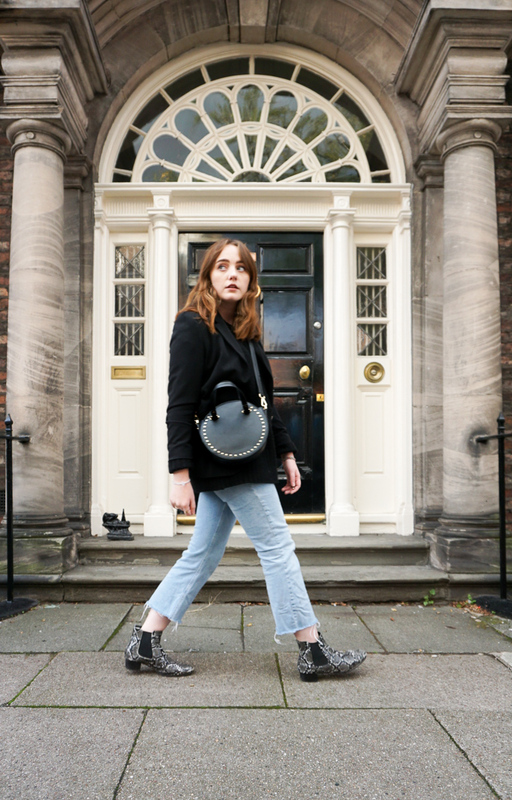 In my last style post, we talked about styling autumn 2018 trends, but today, there's a big bunch of outfit ideas to inspire you for autumn 2018. We all know that check is one of the biggest trends of autumn 2018, but it's about finding a way to wear the trend that suits you. Initially, the thought of checked pants made me think "boring workwear" but, this pair from Miss Selfridge, with their kick flare shape and comfortable fit, made me feel comfortable and more "skater boy from tinder who texts you "saw you at the show last night but was too shy to say hello"" than professional business woman. That might be because I paired them with vans though... Anyway, I loved this look in the end, pairing the pants with a classic band tee and my cord jacket and beret to bring this look in keeping with autumn style. As the weather gets colder, team with a pair of chelsea boots and a fluffy coat and beret, jaunted to the side, of course. 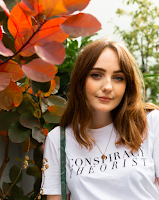 You may have seen this jumper a lot on Instagram lately, because it's unique colour combo and just general cosiness make it the perfect piece for autumn 2018. 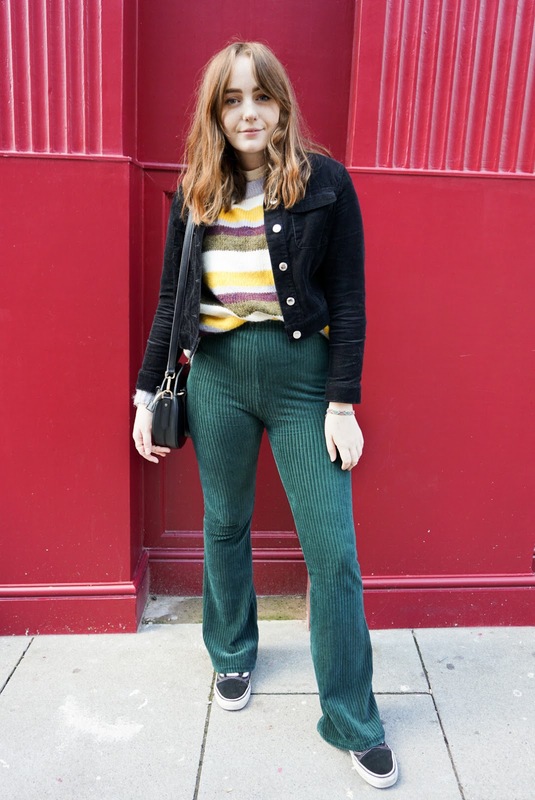 The subtle stripe of green made sure my dark green corduroy flares were a good match. 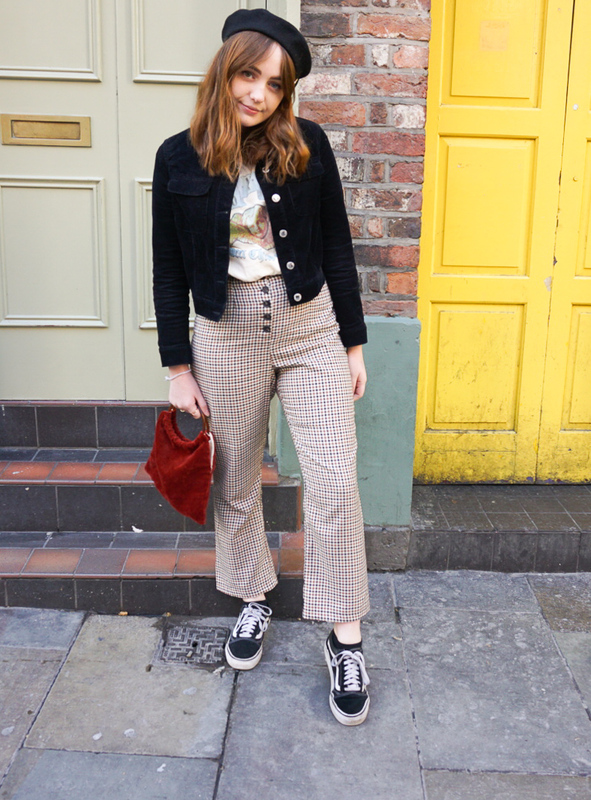 The very thought of corduroy flares may be enough to send some people running, but pair with an oversized jumper and a pair of vans and you go from "making an effort" to "effortlessly cool". Or so I like to think, anyway. Plus, you can use these flares as we go deeper into party season, with a sparkly top and some 70s-esque platform heels. The blazer is back with a bang this season, so I had to include it in my list of fall outfit ideas. Of course, a blazer makes any outfit look smarter, but I had to bring the business vibes down a notch with my some light wash denim. Pair with a big, cosy jumper of your choice and pair of snazzy boots and this fairly simple look suddenly suits your own personality. Perfect for work, meetings or anywhere you need to dress a little smarter than wearing your dressing gown, which can be tempting when the temperatures drop. As you can see, I'm all about the textures when it comes to autumn outfits. Whether it be my beloved corduroy, a good knit, borg or teddy fur autumn coats, I'm all over it. 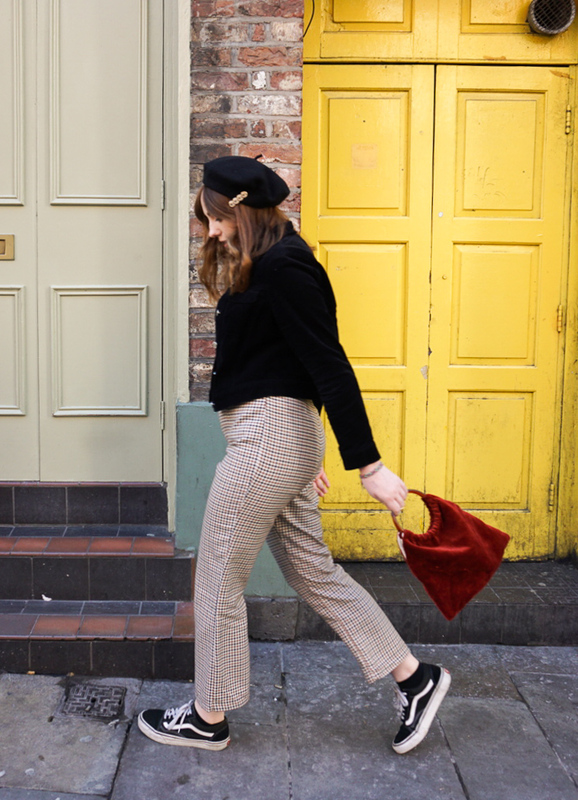 Don't be afraid to mix and match your textures, or even go the whole hog with three pieces of cord in one look, like I did here with my Miss Selfridge two piece and corduroy bag, sold in my mum's Etsy shop. 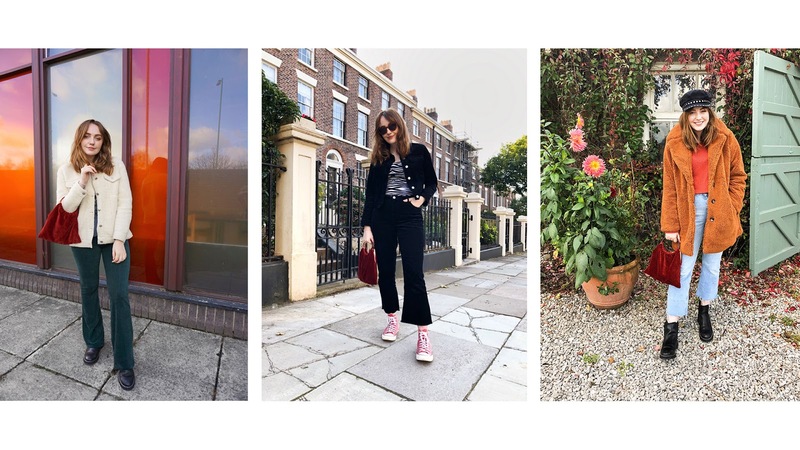 It's go big or go home when it comes to autumn style, so get out the big, cosy pieces and wear them with pride, before spring rolls around again. 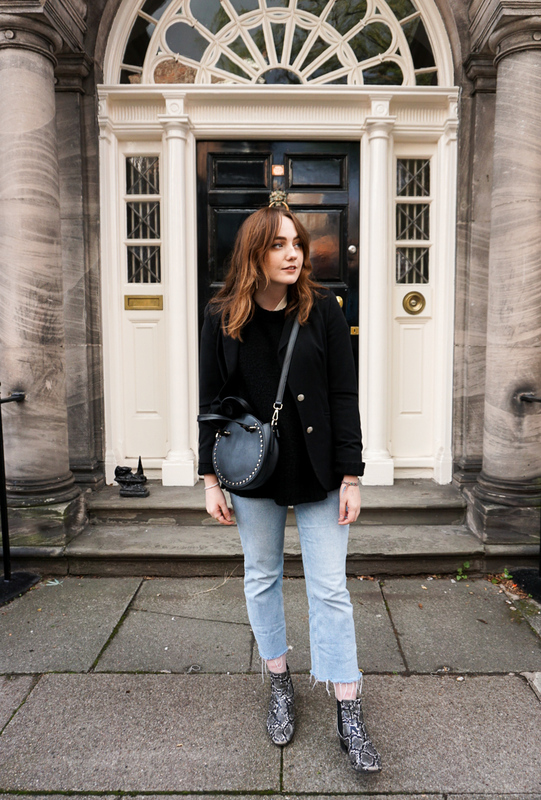 Still need some fall outfit inspo? Shop these key pieces, which will slot into your wardrobe just nicely, revamping your existing pieces for the best season of all. 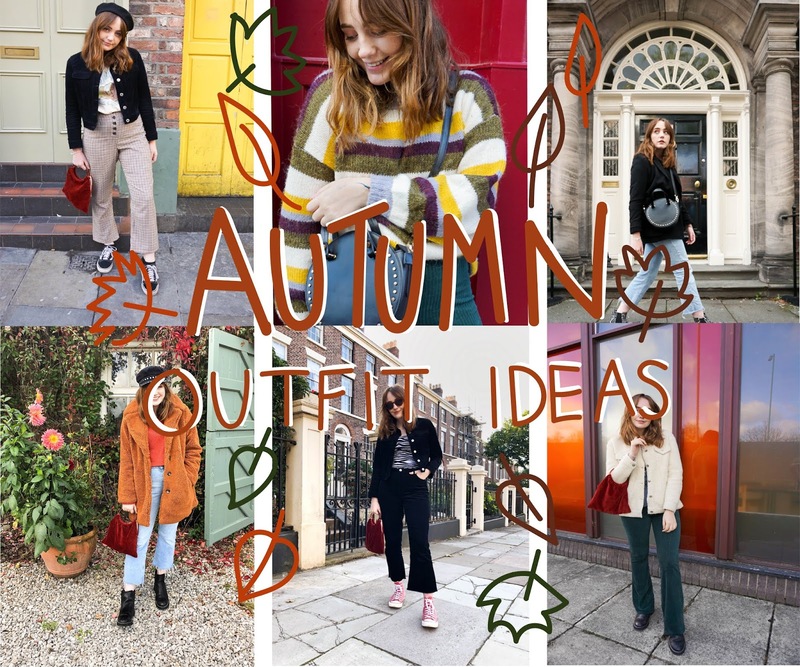 I hope you got some inspiration from these autumn outfits for 2018, there's so much good stuff to choose from! If you do take inspiration from this post, please tag me on Instagram, it would make me so happy to see! It will be a cold day in hell before my rugby player legs are in a pair of flares, but I love the colour of the corduroy ones and they look like they'll be warm in winter! Now I want some in a mom jean style! Love the beret, so Mary Quant. I love your style - you look so effortlessly cool!